Prof. Xiaoxin Zhou graduated from the Electrical Engineering Department at Tsinghua University in 1965 and in the same year joined the Electric Power Research Institute of China. He is now a Chief Engineer of CEPRI, a Director of the Engineering and Material Department, National Science Foundation of China. 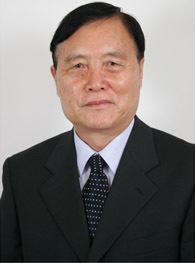 He was elected as a member of the Chinese Academy of Sciences in 1993 and IEEE Fellow in 1996. His research interests are power system analysis and control, application of power electronic technology in power system. In 2008, he received the Nari Hingorani FACTS Award from IEEE Power & Energy Society.